We have now got 3 new vans added to our fleet, which have all been pimped out with new signage and more space inside to enhance our delifery service. Video testimonial filmed with our customer Safe Seal Roofline, Talking about being Freefoam Registered Installer. Also some kind words about us thank you we appreciate such positive feedback. Thanks to everyone who donated and helped raise money for such a great cause Save the Children UK on Christmas Jumper Day. We had lots of fun and enjoyed seeing everybody's festive knits! until next year! New to the market and after customer demand we now stock the Agate (Painswick) Range in 45mm, 65mm, 95mm, 28mm fillet and 18.5mm Quadrant. Pop to your local branch for more details. To help our customers visualise their ideas, We now have an interactive Cladding Visualiser. Our handy tool provides an example of the entire range of colours available in the Fortex embossed cladding collection. Using the calculator is simple. 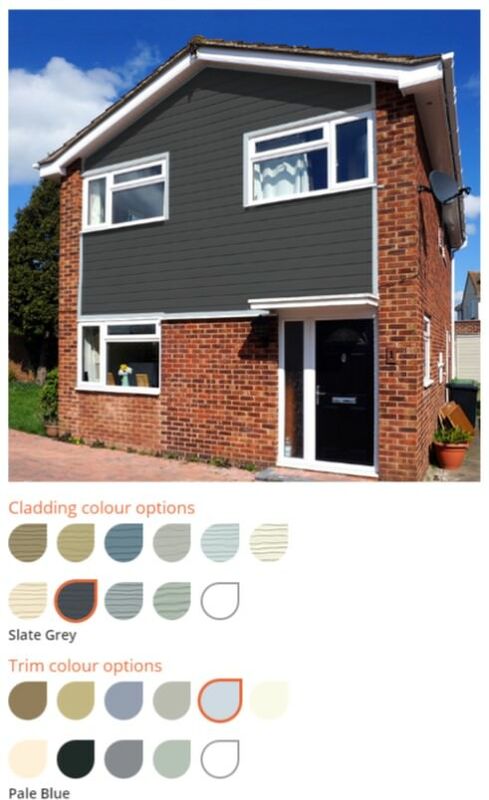 Just select a house image similar to that of your project, then click through the coloured UPVC cladding options available for both the external cladding board and trims. Also, we know working out how many boards you need for a project can be difficult so we have made it easy by providing you a free Cladding Calculator to help you estimate how much cladding will cover the area in question. 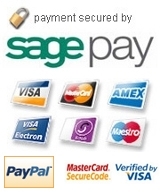 Our calculator will help to eliminate high amounts of wastage, saving you money and the environment. The Cladding Calculator will estimate the number of boards and packs needed for your project. Choose your desired external cladding board and enter the dimensions of the cladding area into the relevant boxes. We have two calculators; one for triangular areas and one for rectangular areas. Again we decided to celebrate GBPlastics beauticians day so we could all have a bit of fun and raise some money for charity at the same time. Similar to last year we asked our customers to donate to our chosen charity The Buddy Bag Foundation, and the 'winning' team member at each branch got to wear makeup for the day. Thank you all again to all our customers and everyone at the branches who got involved. Check out our social media page for new and upcoming events! 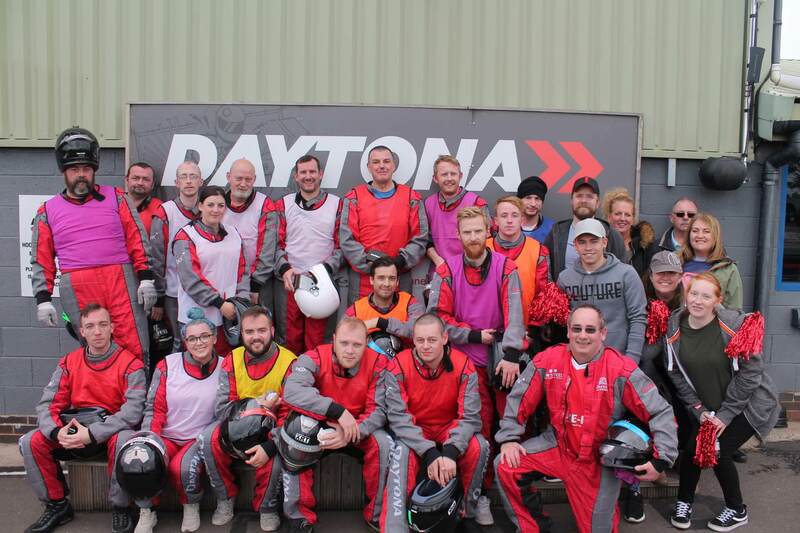 It seems like there is a 'day for anything' now, so we at GBPlastics decied to have a bit of fun with it and raise some money for charity at the same time. Monday 26th June was Beauticians Day. What has that got to do with plastic? Nothing! But that was precisely the point. We asked our customers to donate to our chosen charity The Buddy Bag Foundation, and the 'winning' team member at each branch got to wear makeup for the day. We are absolutely amazed at the response, and delighted that both our customers and everyone at the branches got involved. We managed to raise a massive £360, and had a lot of fun, which is really what fund raising should be about. Check out our social media page for the next mad charity event! Thursday June 8th saw the GBPlastics team head down to London for the annual Family Business United Awards. We walked away with the Midlands Family Business Award and also were runners up in the Peoples Choice Award. Paul Andrews, Founder and Managing Director of FBU, added: "We were delighted to pull together such a vibrant bunch of family businesses for the 2017 awards, some that have succeeded for numerous generations and continue to thrive, and others that are relatively young but have great values at the heart of what they do. “GB Plastics is a great family firm with strong family values at their core and a belief in what they do. This family firm is continuing to innovate and invest for the long term, and represents a truly great British family firm that really deserves all the plaudits that winning this award brings." Did you know we now stock white and black waste pipe, 32mm and 40mm in push fit and solvent welded. Contact your local branch for more information. We had lots of fun raising money for The Buddy Bag Foundation on National Tea Day. All customers were offered tea and biscuits. The biscuits had a retro theme and included Club's, Viscount and Penguin's. We managed to raise £75 on the day from donations. We are delighted to announce that the charity we will be supporting throughout 2017 is The Buddy Bag Foundation. This is a relatively new charity but they are doing great things and we are proud to be able to support and help them. Text TEAMGBP to 70050 to donate £2 to Save the Children, we raised a total of £158 this year, well done everyone in the branches for their efforts and thanks to all our family, friends, customers and colleagues who supported us. Rugeley branch (pictured below) were all lucky winners of an I-Pad mini. This was a result of 6 month's hard work. We had a product focus in all GBP branches on Warm-Roofs, and the branch with the highest sales and profit were all given an I-pad as recognition of their hard work. Warm-Roofs are a fairly new addition to our range, the rooves are made-to-measure and are proveing very popular with our trade and DIY customers. 12 days of Christmas offers available in branches and online throughout December, plus buy more and get GBP branded gloves, hoodie or body-warmer. Will you vote for us and help us win?? We are delighted to announce that we have been shortlisted, now we just need your help, please vote for us! Finally we can announce the opening of our new purpose built head office in Rugeley on 21st January 2016. This wonderful bright and airy new branch replaces the old site and offices that we were previously located at. Hopefull the new premises will provide easier access to our customers. We have an increased space for the accounts/office and a dedicated area for our online team. Also at the new premises is a training and meeting room. December 2015 marked a landmark for General Building Plastics, we have received accreditation from Investors in People, we are very proud to be able to have this award as it shows our commitment to working with all staff to ensure their continued personal development. Family Business Place is dedicated to supporting British family businesses, this years awards are set to be the most talked-about event of the year, we, along with many other British family-run businesses from around the UK will came together to celebrate all that’s special and unique about family firms at the prestigious 6th annual Red Ribbon Awards. We are delighted to be able to announce that we are the proud winners in the Small Family Business Category. "They completely symbolise what a small family business should be. They struck the judges as a stable company; one that knows where it is going and has a solid and well thought- out business plan for guidance. This structured approach alongside a hunger for growth and passion to see the business succeed has resulted in a true gem of a family business which is admired by it’s customers, it’s community and it’s employees alike." We are pleased to announce that Mark Hewitt, one of the directors of Elite Services has won the 3D TV. Mark, pictured with director Wendy Hill is delighted with his prize 'I never win anything, I thought it was a joke when Wendy said I had won the star prize' commented Mark. The new 6,500 sq ft unit is in a prime location on Oswestry’s Maes-y-Clawdd and stocks our widest range of products of , including the full range of woodgrain in Rosewood, Golden Oak, Irish Oak, Black Grain and Chartwell Green, along with a wide range of colour coded sealants and pins. A free local delivery services is available from the Oswestry branch for all orders over £50 placed via our website, by phone, fax or in person at the trade counter. This year we went Hovercrafting and Archery, followed by some great pub grub and a few pints. Pictured below are our hardy crew who all got a little bit muddy during the hovercraft experience. Pictured below is Russ from GRP receiving his Makita drill from our director Alan Sutherland. We had lots of give-aways during the first month of our branch opening in Kettering, and the prize draw was for a Makita Drill. 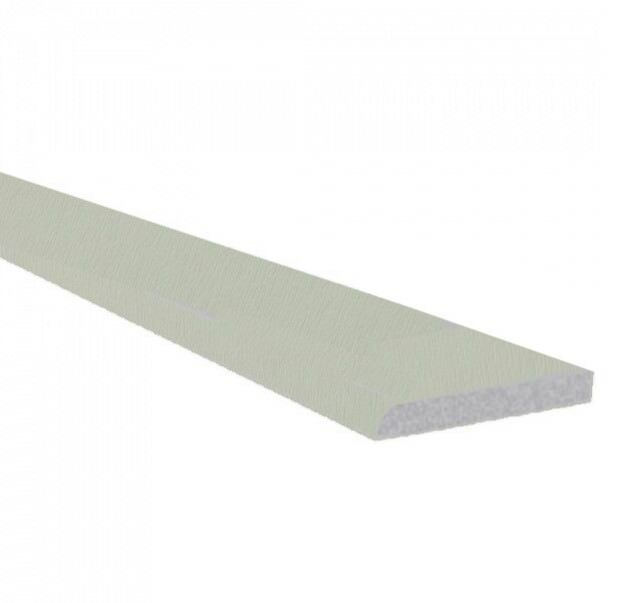 Wwe now stock anthracite grey foiled 40mm, 60mm, 90mm Architraves and 28mm Fillet. Plus anthracite grey silicone and window touch-up pens. In stock now at all our branches. 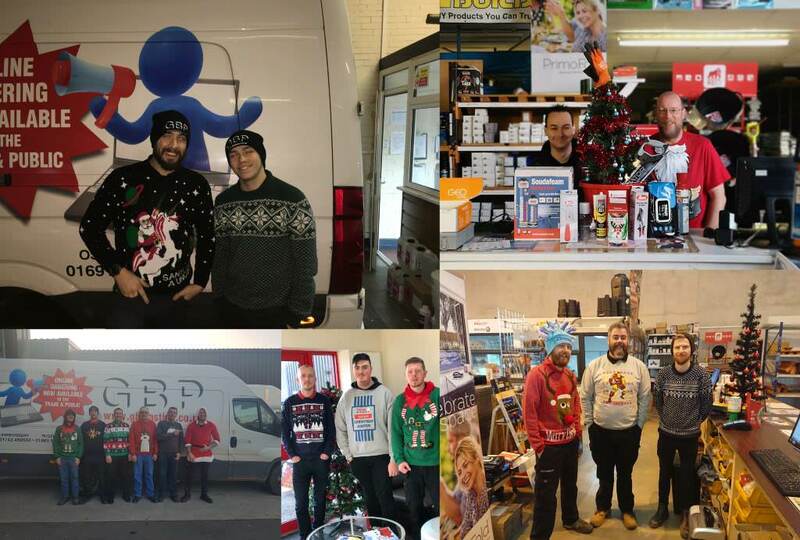 We would like to take this opportunity to thank you all for your business in 2013, and which you a very Merry Christmas and a Prosperous 2014. Dave George recently celebrated 10 amazing years working for GBP!! Everyone who has had deliveries from our Shrewsbury branch know that Dave is not only a key member of the team there, but he has amazing skills when finding even the most difficult of delivery addresses. He is committed to getting customer deliveries to site, ‘on time every time’ and his local knowledge is relied upon by us all. As a thank you for his continuous hard work and relentless dedication to getting the job done, Wendy and Alan presented him with a pair of celebration champagne Hot Air Balloon tickets, flying from the local quarry in Shrewsbury. Now in stock are 400ml foil pack tubes of Soudal LMN silicone. This high grade silicone is now available in a sausage foil pack, which when used with a specialist applicator gun, reduces to almost nothing when empty. In stock and available at branch now - plus buy 3 boxes and get a FREE applicator gun. Despite the constant rain and threat of flooding, we can confirm that we will be exhibiting our BIGFOOT composite decking at the Billing Aquadrome Camping and Boating show, this bank holiday weekend. Much of the show has been moved to hardstanding areas, and the caravan and campsite has been re-opened for all those who want to stay overnight. All we need to do now is pray for a bit of sunshine for the bank holiday weekend. A big thank you to all our customers who supported the raffle at our recent opening at our Banbury branch. We raised a total of £326 from the raffle, which we rounded up to £500!! Kevin Adams was the lucky winner of the 32" television, pictured above receiving his prize along with Martin Summers, Banbury branch manager, and Sheila Norton from Katharine House Hospice. OPENING WEEKEND, Saturday 21st and Sunday 22nd January, call in and see us at our new unit in Banbury during our opening weekend for our special relocation offers. We are also raising money for Katherine House Hospice, with a raffle, each ticket is a winner, call along and help us support a great local charity. We are always keen to offer our customers extra benefits, and during July General Building Plastics and Freefoam promoted the Freefoam registered installer scheme. This is free to join, and once installers are part of the scheme they can register their individual installations and their customers benefit from the 30 year Freefoam extended guarantee, this is on all UPVC and guttering products. 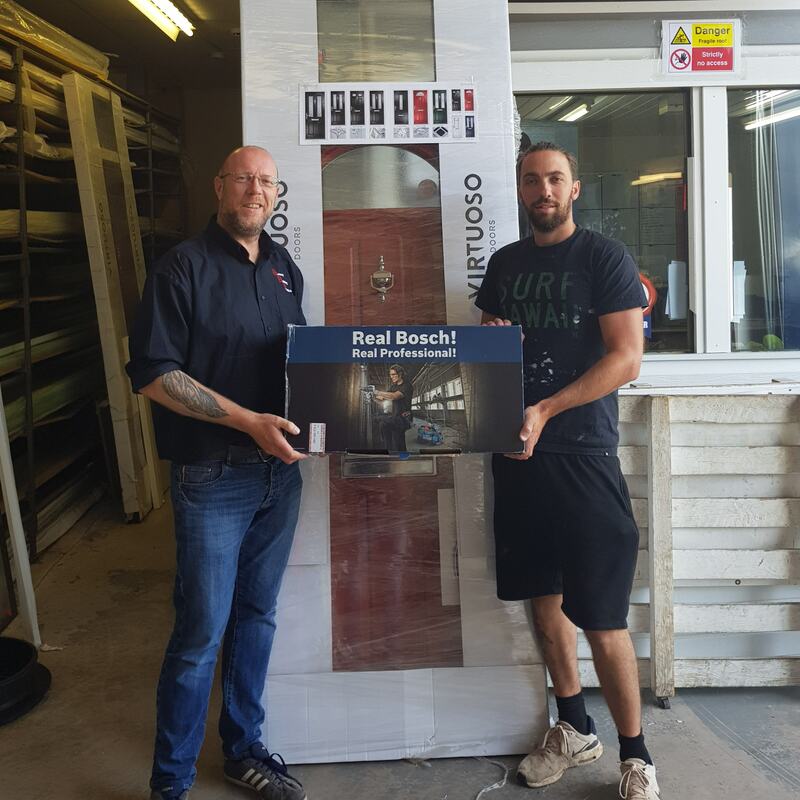 During the promotion GB Plastics registered 66 new installers, and Guardian windows (pictured above) were the winners of a full house of UPVC products, courtesy of Freefoam. If any installers would still like to register, or would like more information about the scheme, please contact your local branch. Thanks to everyone who came to see us at the Shropshire Show this year, it was a very windy show, but the rain kept off for us all. We had a large area of decking on display, plus our new line in fully recycled benches. Also on display was the hygienic cladding - suitable for walls and ceilings and ideal for commercial applications. General Building Plastics are celebrating 20 years trading this year. As part of their anniversary celebrations, supported by their key suppliers, they had a prize draw. First prize of 500 holiday vouchers was won by Mark Williams of Elizabethan Patio Doors in Wrexham. Sunday 6th June 2010 was the date for our directors first ever 'run'. Alan and Wendy, along with Wendy's husband Tony, took part in the Sutton Coldfield, Great Midland Fun Run. As you can see from the picture above, they were all extremely happy to have finished and they would like to thank everyone who sponsored them. They were raising money for a local cancer hospice, St Giles Hospice.